Hazur Sahib is one of the Five Takhts (seats of temporal authority) in sikhism. It is located on the banks of the River Godavari at the city of Nanded in the state of Maharashtra. 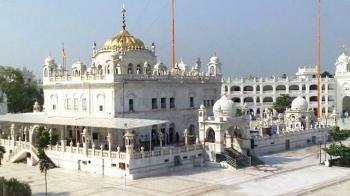 The gurudwara is known as Sach-Khand taht is within the complex. The structure is built at the place where 10th guru, Guru Gobind Singh ji died. The inner room of the gurdwara is called the Angitha Sahib and is built over the place where Guru Gobind Singh was cremated in 1708. The gurdwara was built between 1832 and 1837 by order of Maharaja Ranjit Singh. Hazur Sahib is also known as Takht Sachkhand Sri Hazur Abchalnagar Sahib and is also spelled as Hazoor Sahib. Giani Kulwant Singh is the present Jatthedar. It is one of the largest rock cut monastery temple caves in the world and a UNESCO World Heritage Site. 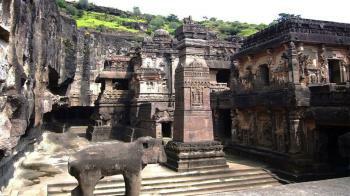 In Maharashtra there is an Archaeological site known as Ellora caves. 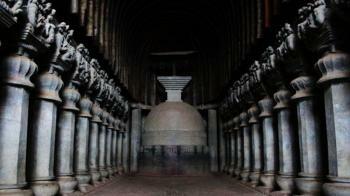 The artwork of Hinduism, Buddhism and Jainism are able to see in the caves from the 600-1000 CE period. The single monolithic rock excavation is featured largest int the world present in the 16th cave of Ellora, he Kailasha Temple, a chariot shaped monument dedicated to lord Shiva. The site features over 100 caves, of which 34 caves are open to public. 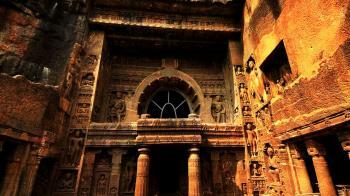 The Ajanta Caves have been a UNESCO World Heritage Site since 1983. The Ajanta Caves are the 30 rock-cut buddhist cave monuments located in Aurangabad district of Maharashtra state of India. The cave is dated from 2 century BCE to 450 CE. Paintings and rock cut sculptures are present in the caves that describes the finest surviving examples of ancient Indian art. The arr in the cave are the masterpieces of Buddhist Religious art that influenced Indian art that followed according to UNESCO. Shaniwar Wada is an fortification of 18th century, build in 1732 in the Pune City in Maharashtra. It was the seat to the ruler of Maratha Empire, Bajirao Peshwa untill 1818 when the Peshwas lost control to the East India afet Third Anglo-Maratha War. Peshwa Bajirao, prime minister to Chattrapati Shahu laid the ceremonial foundation on January 10, 1730. 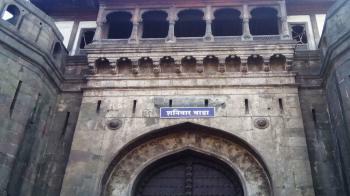 The word Shaniwar Wada comes from the Marathi word Shaniwar means Saturday and Wada means a general term for any residence complex. The openning ceremony of Shaniwar Wada was done according to hindu religious on Jan 22,1732 another saturday was choosen for this day. It is situated near the Mula-Mutha river. In the State of Maharashtra, India there is a town known as Shirdi. 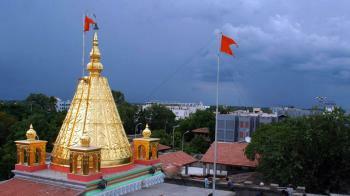 Shirdi is located in the Ahmednagar. It is located about 270 kms from Mumbai. Shirdi is best known as the home of the Sai Baba. It is one of the richest temple organisations. Shirdi is called the land of Sai Baba. Sai Baba was born in the year September 28, 1835 in the Pathri. In the 18th Centuary a young bearded man with sparkling eyes took shelter in a mosque in this place. Nobody knew from where this stranger had come. 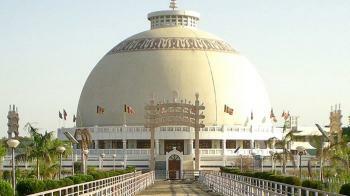 Deekshabhoomi is one of the holy places of Buddhists which is located in Nagpur city of the Indian state of Maharashtra. This is the monument that witnessed the conversion of Dr.Babasaheb Ambedkar to Buddhism. The monument is large,clean and calm. Each and every people who understand Dr. Ambedkar eagerly want to visit this place. It's a Buddhist temple but no one is barred from going inside.. As this is the peaceful and wonderful place in the heart of Nagpur, one can feel the calm and be at peace here. There is no Entry fee for it. Some people don’t consider it as a tourist place because there is no entertainment here. People comes here with the idea to mediate as that is the beauty of the place.